The Sacred Heart Cathedral of Kericho has won the Judges ‘Special Award’ at last night’s BCIA awards ceremony at The Grosvenor House Hotel. Launched in 1998, the British Construction Industry Awards recognise outstanding achievement in the construction of buildings, with a focus on architectural and engineering design, the construction process, delivery to time and on budget, and client satisfaction. This year's judges included Alan Clucas, Director at Laing O'Rourke, David Hancock, Head of Construction at the Cabinet Office, Sue Kershaw, Director of UK Infrastructure Project and Programme Management at KPMG, Tim Broyd, Chair in Built Environment Foresight / Senior Vice President at the University College London and Institution of Civil Engineers, Rory Olcayto, formerly Editor at the Architects’ Journal and now CEO of Open-City, and Katrina Dowding, Managing Director, Skanska. 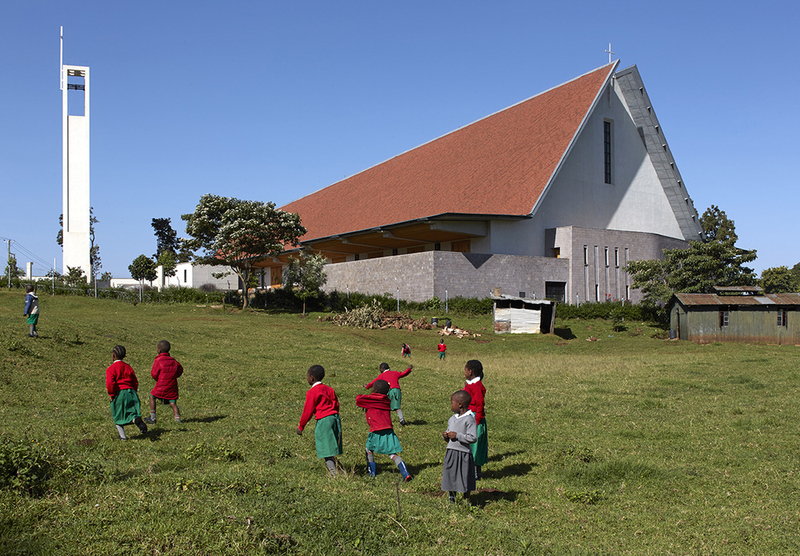 "John McAslan and Partners has designed a truly inspirational and unique cathedral for the Catholic Diocese of Kericho. The concept design is firmly rooted in its African context while faithfully referencing its great European predecessors."